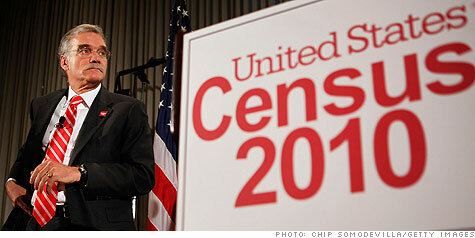 WASHINGTON (CNN) -- The U.S. Census Bureau is giving back almost a quarter of the money it received to do its job this year. Commerce Secretary Gary Locke announced Tuesday that the Census Bureau, which compiles the U.S. population survey every 10 years, is returning $1.6 billion of its almost $7 billion operational budget. -- $150 million because of lower-than-planned costs in some areas including Alaska and tribal lands. "With proficient management, the cooperation of the American public and a little bit of luck, the Census stayed on track with significant cost savings to taxpayers," Locke said in the statement. He praised Census Bureau Director Robert Groves for improved management practices, including buying additional advertising in communities where responses lagged in order to improve the overall response rate.